New York, NY – The National Institute for Reproductive Health (NIRH) commends Colorado advocates, activists, and elected officials today following the introduction of the Reproductive Rights, Health and Justice Act – landmark legislation to expand access to comprehensive reproductive care – and pledges to push for its passage. The bill, introduced by Representative Daneya Esgar with the support of the Colorado Organization for Latina Opportunity and Reproductive Rights (COLOR) and NARAL Pro-Choice Colorado, brings the state to the forefront of a growing roster of states and localities expanding reproductive health, rights, and justice in the face of federal attacks. 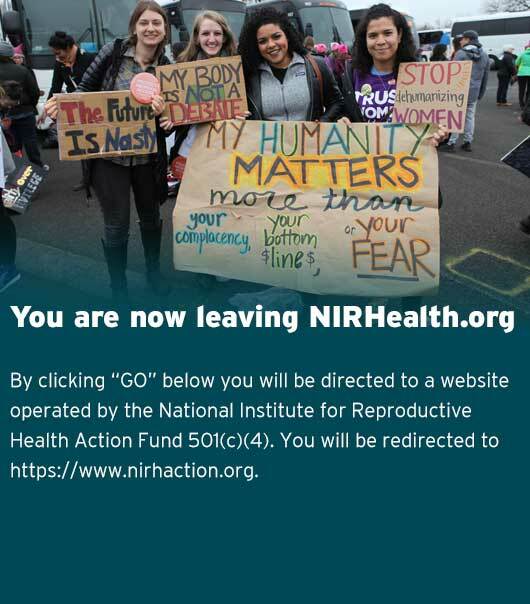 NIRH’s support for proactive policies in Colorado is a result of the NIRH and State Innovation Exchange (SiX) partnership to support on-the-ground efforts to advance reproductive freedom in states around the country. The project supports advocates as they identify new proactive reproductive health, rights, and justice policies to pursue, and move policy agendas that advance abortion access, working in partnership with lawmakers.